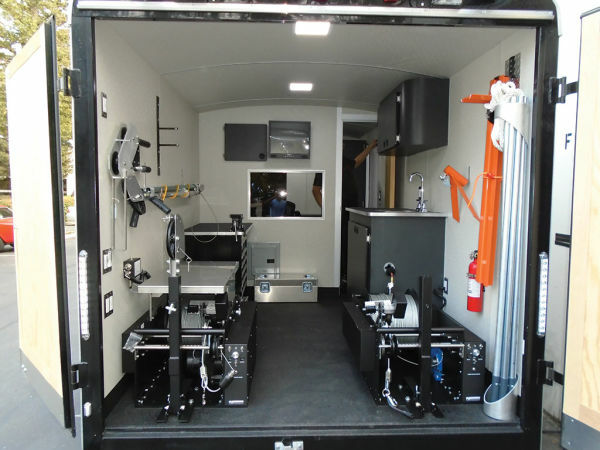 Let us build your dream mobile field inspection configuration. Our trailers feature many of the options found in larger truck installations but in a towable and compact configuration which can be more financially economical in some instances. Trailers can be designed to incorporate well organized and planned ergonomic work spaces, storage, lighting and equipment to provide full mainline inspection capabilities and more.